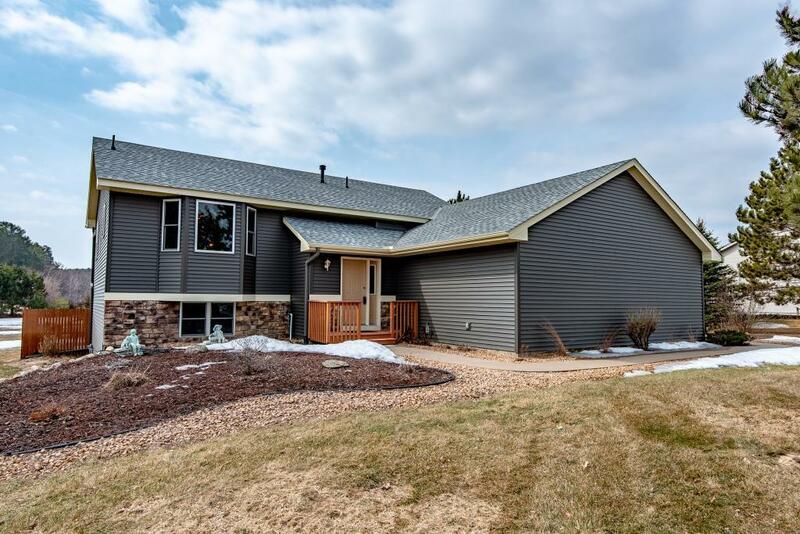 Many updates have been done to this serene 2 acre property in East Bethel. New vinyl siding, fascia and most of roof redone last year due to storm damage. New furnace and AC, lower level family room has new carpet, lower level bathroom has a nice soaking tub, with new toilet, sink , flooring and tile. Updated light fixtures in most rooms. Some mature trees and perennials throughout the property.